Carbon dioxide is being used ever more widely as a novel raw material in plastics production. As part of the “Production Dreams” project, materials manufacturer Covestro is working with RWTH Aachen University and the Technical University of Berlin, both in Germany, on a further process that will enable the greenhouse gas to be used as well in the environmentally friendly manufacture of elastomers on an industrial scale. Elastomers are plastics that hold their shape but are elastically formable. The German Federal Ministry of Education and Research (BMBF) is providing funding for the project of up to EUR1.5 million over the next three years as part of the “r+Impuls – Impulse für industrielle Ressourceneffizienz” (r+Impulse –impetus for industrial resource efficiency) measure under the “Research for Sustainable Development” (FONA³) framework programme. Elastomers are normally made entirely from petroleum. Now, some 25% of the oil used to manufacture a precursor can be replaced with CO2. The resulting polyether carbonate polyurethane can be processed into elastomers. Individual batches of the innovative material have already been manufactured in the lab. The focus is now on developing a continuous process that will support cost-effective production on an industrial scale. “By participating in the BMBF Production Dreams collaboration, we are redoubling our efforts to develop cost-effective and climate-friendly production processes that use CO2 as an element in high-performance plastics,” says project manager Dr. Jochen Norwig, who works in catalysis research at Covestro in Leverkusen. Small-scale tests have so far shown that elastomers manufactured using this process exhibit the same impressive qualities as those produced using only petrochemical raw materials. At the same time, the new process that the project partners want to develop and put into practice is much more energy-efficient and uses a much lower quantity of solvents. It therefore has significantly better ecological credentials than conventional processes. Using less petroleum also means fewer processing steps have to be carried out before it can be used in the elastomer, which in turn reduces the overall CO2 emissions and energy consumption associated with the process. Using carbon dioxide thus conserves petroleum, which is a finite resource, and expands the base of raw materials used in the chemical and plastics industries. The number of plastics that can be produced using CO2 is also growing. Thanks to research carried out by Covestro and its partners, carbon dioxide can already be used in the production of polyurethane flexible foam. 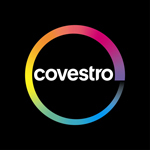 Covestro is aiming to open the first production facility this year at the Dormagen site, where it will manufacture a polyol with a 20 percent CO2 content as a precursor. This precursor will be used primarily in flexible foam applications such as upholstery and mattresses. The Institute of Plastics Processing (IKV) and the Chair of Technical Thermodynamics (LTT) at RWTH Aachen University are involved in the project. The IKV has extensive facilities and experience when it comes to designing elastomer components, treating rubber and processing and testing elastomers in injection molding and extrusion. It is a key academic partner to Covestro with regard to the production of elastomers. The LTT has been analysing, evaluating and optimising industrial energy and production systems for years. Its expertise ranges from modeling and optimising energy supply systems to analysing complex process chains with regard to environmental impact. The Chair for Chemical Engineering / Reaction Engineering of Heterogenic Systems at TU Berlin is involved in the project. The Chair is working on a number of research projects of industrial relevance. It is responsible for evaluating the cost-efficiency of the production concepts in Production Dreams.